The greatest lands in the world only give of their best if their soil is alive! 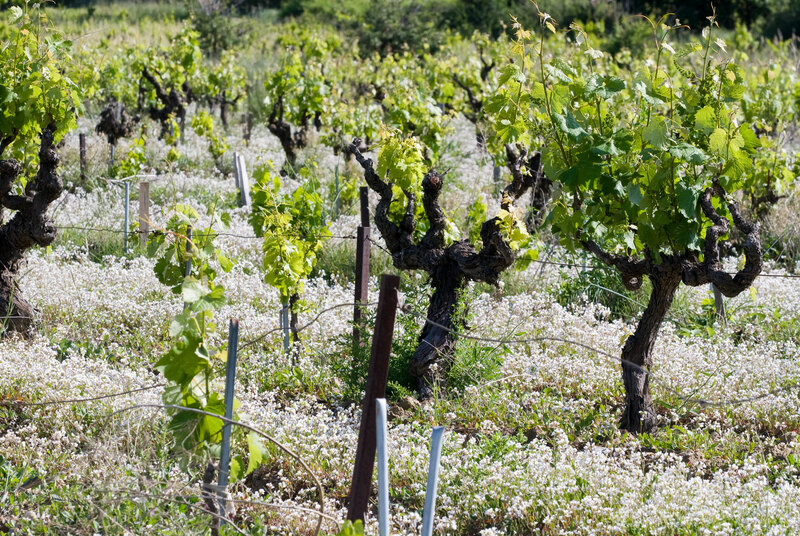 For Claude Bourguignon, agronomist in soil microbiology, ‘Red wines are as strong and complex as the internal clay surfaces supporting them are of high density’ What is the internal surface of clay? Clay is composed of layered sheets. Side by side, these sheets represent the surface of clay. The internal surface is the sum of the surface of these layers per 1 gram of clay. The higher the internal surface area, the higher the quality and complexity of the clay. The quality of the clay is measured by square meter of the internal surface per gram of clay. 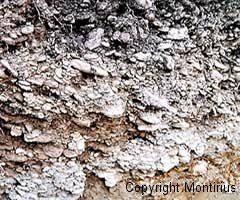 Garrigue or plane soil which is ‘Mindel’ clayey limestone on the surface containing ‘ICTITES’ clay. ‘Pliocene’ clayey blue marl containing ‘SMECTITES’ clay. This is soil which is found in the Chateauneuf du Pape, Gigondas and Vacqueyras classifications. 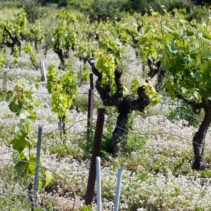 Our estate is essentially situated on Garrigues soil : Earth + pebbles on 1 to 2 meters depth (photo). These are ancient MINDEL alluvial deposits (clay-limestone formation). 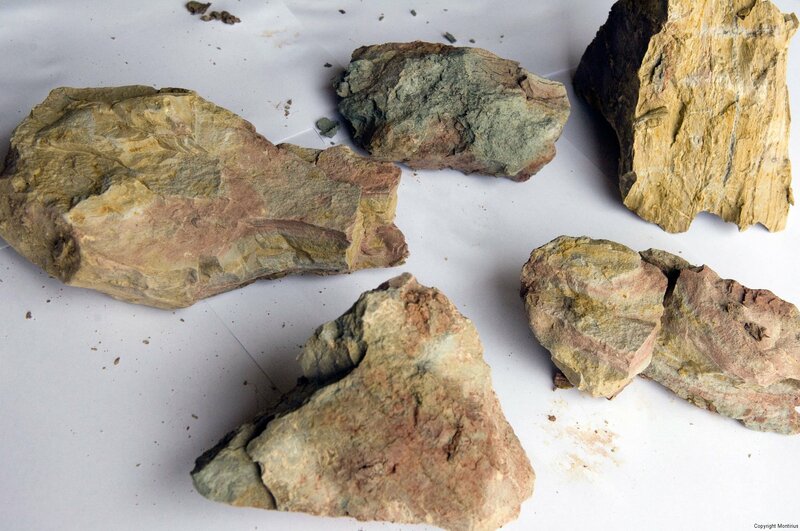 The internal surface of these clays are contained between 200 and 250 square meter per gram. The dark color of the soil and the pebbles accumulates heat which favours the grapes maturity. 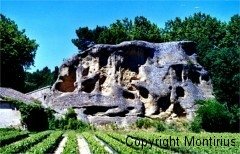 Under the Garrigue soil (between two and fifteen meters deep) are situated the blue clay Marns of the PLIOCENE. The internal surface is about 300 square meter per gram. The blue clay marns don’t exist on the ” clos ” plot. 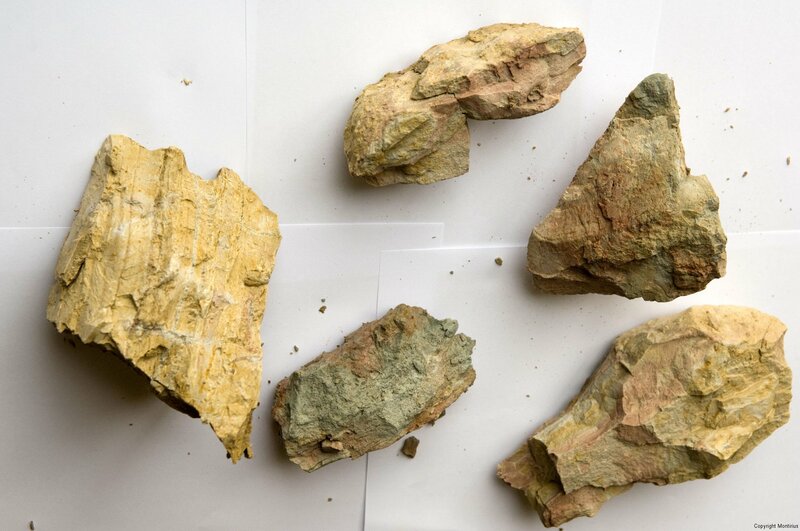 The photo shows the different colors of the Garrigue (dark) and the blue clay Marns (pale). Under these blue clay Marns, appears the base on which lays our soil : yellow sand and sandstone of the HELVETIAN period. Helvetian sand and sandstone have an internal surface of 600 square meter per gram called Montmorillonite. 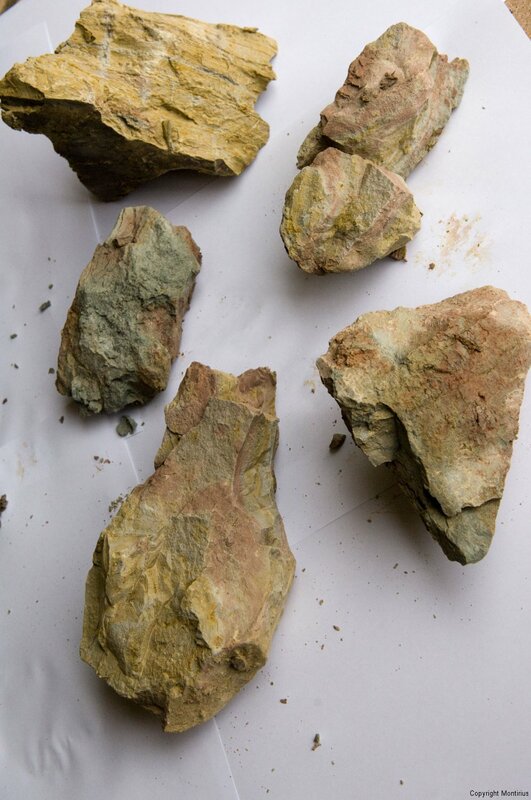 Montmorillonite is the best clay to produce reds wines of high quality.